Greg needed some house slippers. 😉 I will be making more in different colors. Happy hooking! Thank you everyone for the thoughts and prayers. Lacy is still not feeling well but since she started taking the meds prescribed to her we have noticed the pain is worse when she sits up to long. Greg has been doing leg kicks and arm stretches from the looks of his mommy’s tummy. Everyone has done their thing at the lab and we will find out if any of us can’t give blood on Friday. Today we have no dr appts. 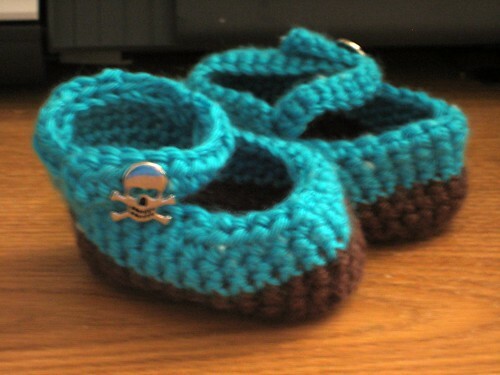 If you would like you can check out my crochet blog to see what I have been doing at the dr office. Hope everyone is having a great quilting week! Seems lately that I am doing more crocheting than I am quilting for many reasons. I also realize that there might be folks that aren’t interested in what I’m crocheting so I created a blog for my crocheting. http://cindycrochets.blogspot.com/ I will continue to quilt it may just not be as much as I would like. Friday the high was 31 and Saturday was 32. Of course, I think I’m freezing. 😀 So I’ve stayed indoor with multiple layers on. 😉 I have stayed busy, I made Greg a hat to match the blanket I’m making him. Then I made a hat in a larger size as I wanted him to have a matching hat and blanket and he might outgrow the first hat. Lacy liked the little hat and requested one for a friend who is due in the next couple of days who is also having a boy. Of course, then I had to make Nikolas some hats. Lacy has lots of friends with little girls so she wanted me to make them hats. You know, little girls are special, kinda like a cupcake so that is what they got. Even has a cherry on top. 🙂 I still have a few more girl hats to go but they are so fun to make. I finished quilting Tinsel Time and the shawl for my friend. I’ll get photos of those up later. What a great day! However, first things first. For all of you doing the BOM from Capricorn Quilts, the new blocks are up. Now all of the ladies are also quilters. They have been driving to Nashvile to quilt with a group, said they hadn’t been able to find a place local to quilt. Well, big mouth aka Cindy said “Have you asked Ron if you could use a room at his church?” Ron is one of the men that come for the conversation. Sandee and Ron at the same time said, “We never thought of that.” So they are going to work out the details and we are going to start a local quilt group. I was not looking forward to going to Nashville once a month to quilt as it was hand projects only. Sandee teaches quilt classes. You should see the gorgeous quilted coats she wears. I got lots done today and they all had a good laugh at my yarn holder. Yep, I dropped that Folgers can down between my feet right there in Starbucks. I worked on the shawl for my friend and I have 3 1/2 squares done. I’m thinking I will put a prettier border on this one than I did for Mother’s. I’m remembering more about crocheting the more I do it. I have about another hour of quilting on the Tinsel Time and then I will hand it over to the short person in the house. Finished the prayer shawl Saturday morning. I’m very pleased with it, just hope Mom likes it. Remember me showing you how much I had done on the prayer shawl? I just wasn’t happy with the way it was turning out, the edges were just ugly and the thread was making an ugly pattern. So Wednesday afternoon the shawl went from this to 3 of theses. Then 2 of those and part of another became these 4 granny squares and I’m working on the 5th. I’m much happier now. I didn’t have a needle large enough to start stitching the squares together. I’m hoping 5 squares will be enough to make a shawl. Each square is 14″ so I’m thinking 5 will be plenty long enough. I’ll go backwards using the title. 😉 WPW=Wacky Pack Wannabe. I am now an official member. WOOHOO!! These talented quilters sound like they have way too much fun and I know I want to be involved in that. 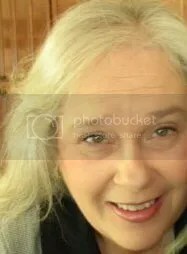 Click the bee in my sidebar and check them out. Crocheting… Well tonight it became obvious that I was out of practice calculating how much yarn was needed when I enlarge a pattern. So now I am forced to go back to Hobby Lobby to purchase another skein of yarn. Poor me! I hope they are not having a sale. 😉 This is where I am at with the prayer shawl and that is 2 skiens and it only called for 3. Whether I decide to give this to Mom or keep it for myself, both of us are just a tad fluffy. 😀 Definitely will not big enough to keep a fluffy gal warm. One more photo. You know you want to see what a dirty baby looks like that puts himself to sleep. First, I finished Bunny Dreams and Nikolas loves it. 😀 Nikolas kisses the bunnies, I’m sure he doesn’t understand that it isn’t his. Unfortunately, I didn’t get the Zoo Animals quilt finished. As disappointed as I am it couldn’t be helped with me starting a new job. 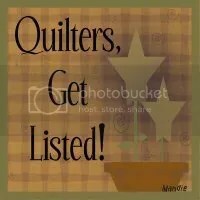 I am better organized with my job this week so quilting will resume. Found a crochet group that meets on Tuesday mornings that I’m thinking about going to. The only problem is they meet at 8:00 am, I’m not normally dressed at that time and have barely had 1 cup of coffee. The ladies also quilt, so I need more info on that. Speaking of crochet, I haven’t done much of that lately either. I did get a decent photo of the yarn. I think it is very pretty. I woke up yesterday morning ready to get started quilting the Zoo Animal quilt. Laid the backing down, then the batting and finally the top. Oops something didn’t look right. 😦 Because the top grew I was short ALOT on the backing. Thank goodness I hadn’t cut the batting to short. So I did what any quilter would do, I started quilting Bunny Dreams. I’m very pleased with how much I got quilted on the bunny quilt. I outlined around the bunnies and the carrots and kinda sorta stitched in the ditch. I’m sure I will finish it today hopefully (crosses fingers) will at least get started on the binding. I’m using a different type of Warm & Natural, I think it was called Warm & Natural Lite White. It is very thin and it quilts so nicely. I really like it for the baby quilts because it is so light weight. Some of the quilts I made for Nikolas are very heavy and a baby don’t need that. Then when I needed a break I went back to Hobby Lobby for more backing. They didn’t have any more so I got moon and stars that matched. DD liked it so I do too. Last night while watching TV I worked on the shawl. I’m so loving making this shawl, I’m already dreaming of the next one I will make. 😀 I want to take a photo of the yarn in natural light today hopefully the grey will turn to the right shade of green.